To view the interview with WFMY, please click here. “More” is a common thread that seems to run through the entire life-span of the Post-World War II baby boomer generation. The succession of “mores” began when 3.4 million babies were born in 1946 to the tune of 20% more than the number born in any year before it. 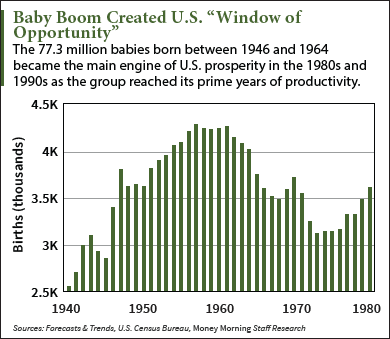 The trend continued with 3.8 million in 1947 and gradually escalated until it leveled off at 4 million babies being born each year between 1954 and 1964 when the boom finally subsided. Currently control 70% of all disposable cash in the United States. Inherited or will inherit as much as $15 trillion from parents and older spouses. Collectively earned 3.7 trillion which is twice as much as the generation before them. Benefited from better earnings, pensions and property values than their children will. 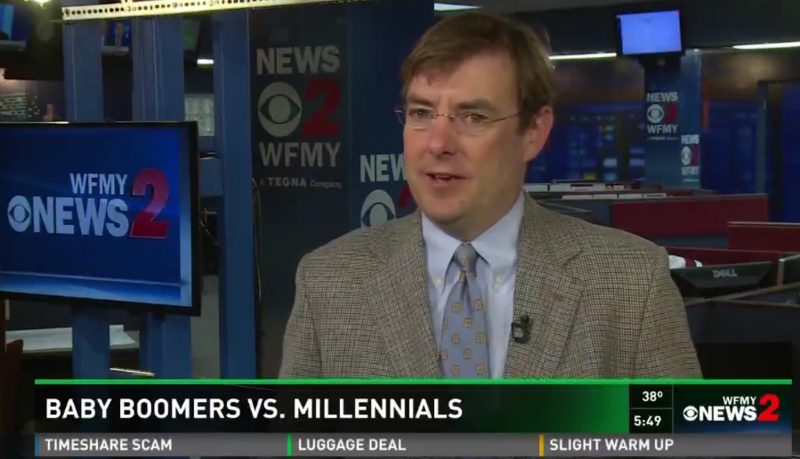 Despite the fact that millennials are facing an already unstable economic future, two out of three boomers surveyed say they are not planning to leave an inheritance for their children. On the other hand, one in four millennials confessed that they are depending on an inheritance from their parents to help them prepare for retirement. The reality is most baby boomers are more focused on spending rather than taking appropriate steps to provide an inheritance for the next generation. For those who hope to leave a legacy, boomer spending habits and the retirement paradigm shift are two significant issues that could negatively impact millennial inheritance. Both men and women from the boomer generation outspend younger adults for entertainment, gift items, personal care and at restaurants. Boomers are 21% more likely than members of the younger generation to spend $10k or more on home improvements, interior décor and landscaping each year. According to an AARP report, baby boomers spend over $120 billion annually in leisure travel. Pursue a flexible working arrangement rather than fully retire. Quicker to take risks by investing some or all of their retirement funds into starting their own business after leaving a corporate job. Seek innovative ways to spend their retirement money that may or may not produce an income stream to help fund expensive retirement activities. Financial advisers say there may be a way for baby boomers to enjoy retirement on their terms without completely depleting their children’s inheritance. The key, they suggest is preparation. Strategic planning and adequate preparation can protect your children’s inheritance or be better prepared to survive without one. The first thing they suggest is that parents arrange to meet with a financial planner to see how they can facilitate a non-traditional retirement lifestyle and still provide a legacy for their children. If there will be an inheritance such as real estate, IRA or cash, a professional adviser can help Millennials, who most likely will not have the benefit of a pension, to understand how to maximize their inheritance to shore up their own retirement. If it is clear that you will not be able to leave an inheritance for your children, it is important to avoid a nasty surprise by making them aware of that fact early. For boomers who start a business during retirement, put plans in place that will make the transition of the business assets to your heirs effortless. 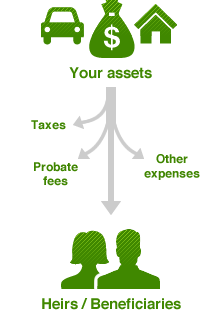 It is also critical to choose a responsible executor or trustee to handle asset distribution. Even if you do not have a lot to leave to your children, it is important to have a will that clarifies who gets what and other end of life desires. And, if your assets warrant it, meet with an estate-planning attorney to provide the appropriate documentation for distribution of property, gifts and asset protection for your heirs. 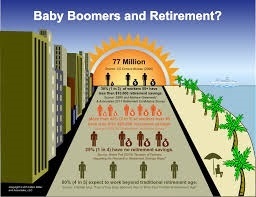 AARP report, baby boomers spend over $120 billion annually in leisure travel.